We have a light economic calendar with a focus on housing. 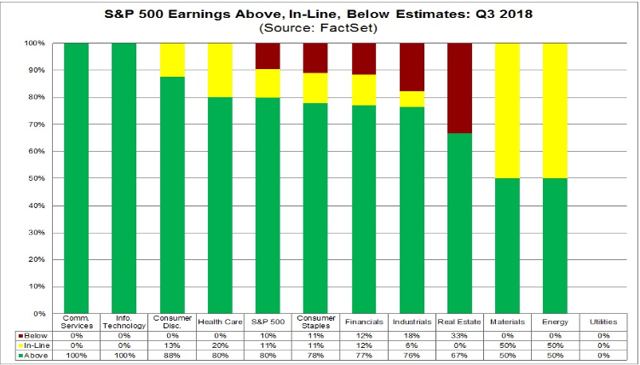 Earnings season would normally be the most important market theme. For now, observers are seeing what they want to see in earnings reports. That makes it easier for pundits to take up a favorite topic: What is about to go wrong? There are so many candidates that picking one as a theme would be a pure guess – even more than usual. Sticking with my promise to focus on the most important questions, regardless of pundit preferences, I am going to summarize the most important current market misperceptions. In my last edition of WTWA I asked whether earnings season would spark a rebound in stocks. That was indeed a frequently discussed topic. For part of the week, it looked like the answer would be “yes.” At week’s end, that issue is still in doubt. I always start my personal review of the week by looking at a great chart. This week I am featuring the futures chart from Investing.com. The image posted here shows a static view. If you go to the site, you can check out the news at various points during the week and adjust the view in many other ways. 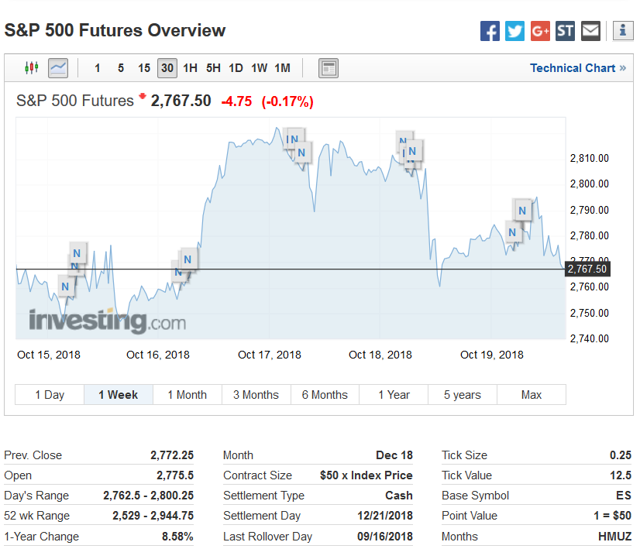 Since futures trade when the stock market is closed, you can also see that trading. The market was virtually unchanged on the week. That seems amazing to those who were watching it play out. The weekly trading range was 2.7 % — less than last week, but larger than we have experienced over the last few years. The VIX implied volatility measure remained higher than the actual results which are only slightly higher than the long-term average. I summarize actual and implied volatility each week in our Indicator Snapshot section below. New Deal Democrat’s high frequency indicators are an important part of our regular research. They remain positive overall but have weakened somewhat in all time frames. The long-term indicators have drifted back to the neutral range. Earnings news – good so far. FactSet reports that 80% of companies have a positive earnings surprise and 64% a positive sales surprise. These are both better than the average result. The year-over-year growth has been 19.5%. The size of the beats is a bit less than average. Guidance has also been better than expected. The earnings news has been strong, but without much market reaction. Some labor slack remains demonstrates Matthew C. Klein (Barron’s). He looks at the “super prime age” employment population and the increase in part-time workers resuming full-time jobs. The lack of wage pressure is the result. 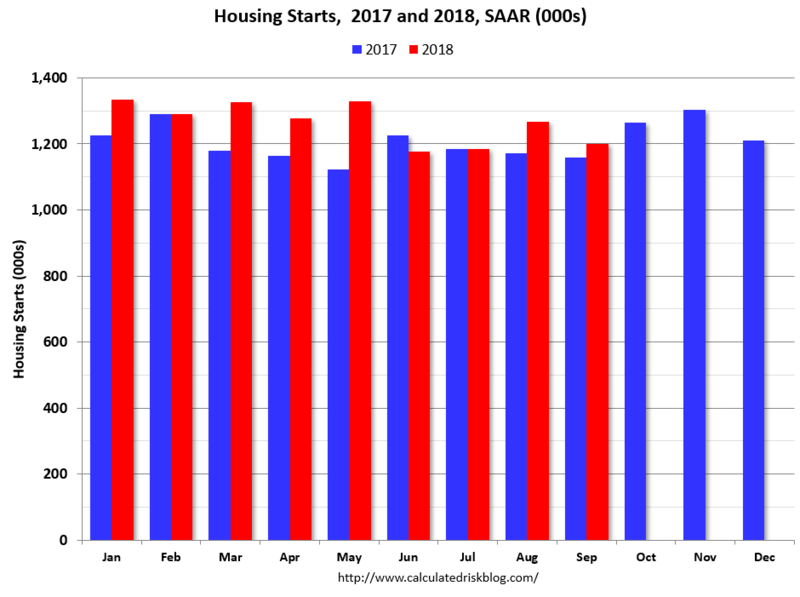 Housing starts registered only 1201K (SAAR). P 1268K E 1230K. Calculated Risk notes that starts are up 6.4% year-to-date compared to 2017. The comparisons will now be getting tougher. Bill’s continuing view is that there will be further growth in housing starts. Building permits for September were 1241K (SAAR). P 1249K E 1273K. 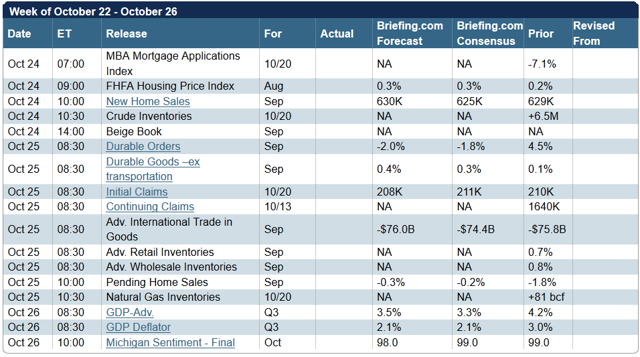 Existing home sales for September were 5.15M (SAAR). P 5.33 M E 5.30M. Calculated Risk notes that this is a “reasonable level” and less important than new home sales. 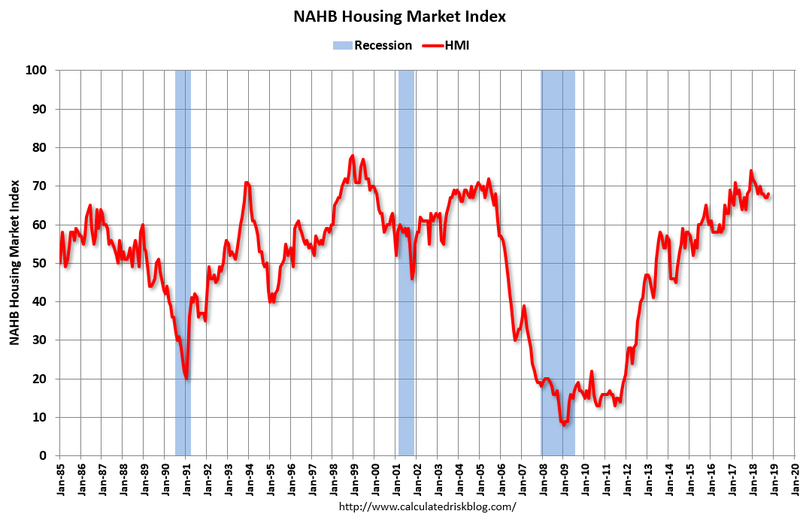 While the YoY decline is small, it may reflect rising mortgage rates and the limitations on property tax deductions. FOMC minutes should not really have been a surprise, but the market was troubled by the apparent willingness of the committee to raise rates beyond neutral. 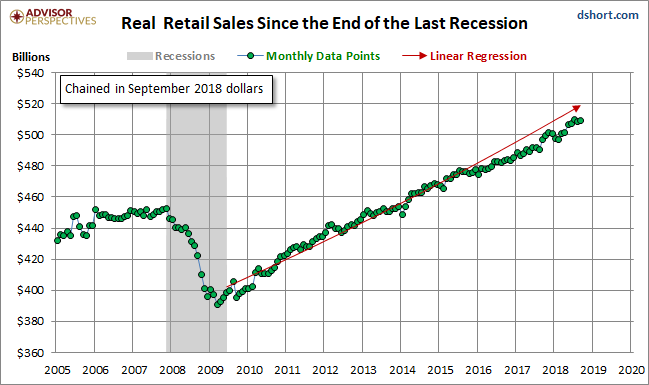 Retail sales for September increased only 0.1% P 0.1% E 0.6%.Jill Mislinski tracks the data, noting that growth has been rising less than the post-recession trend for the last three years. Flood insurance in a World with Rising Seasis a study by Queens College, City University of New York researchers. The research notes the perverse incentives provided by government flood insurance, “$23 billion in the red as of 2016”. Coastal development and property values increase despite the higher risks of flooding. The calendar is a light one, with a focus on housing data. There will be plenty of earnings news, which would normally be the biggest story of the week. 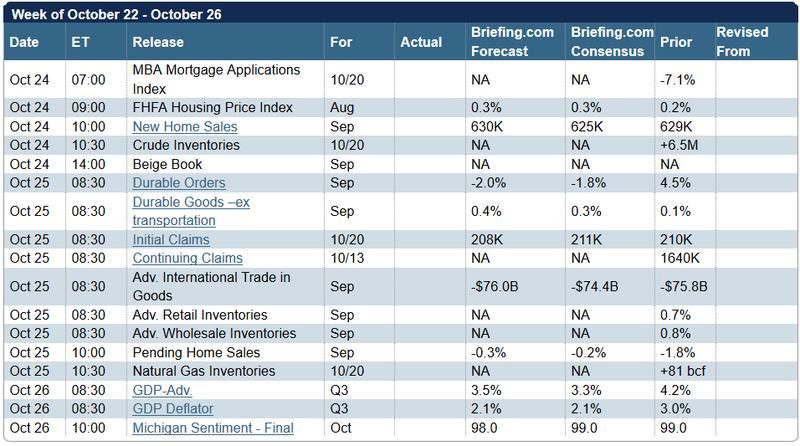 Briefing.com has a good U.S. economic calendar for the week (which is why I am a subscriber). Here are the main U.S. releases. Earnings news is episodic. It is often challenging to find a theme in the stories. While the earnings reports will get attention, I expect pundit focus on a favorite theme: What is about to go wrong? These stories will get plenty of attention. Some are valid concerns, but many reflect common misperceptions. I will balance the scales a by looking at the facts behind the assertions. To help follow the arguments, I am breaking with my customary procedure of offering opinions only in the Final Thought. My comments are italicized and in brackets. The Corbin Advisors Industrial Sentiment Survey captures the concerns of the buy-side. 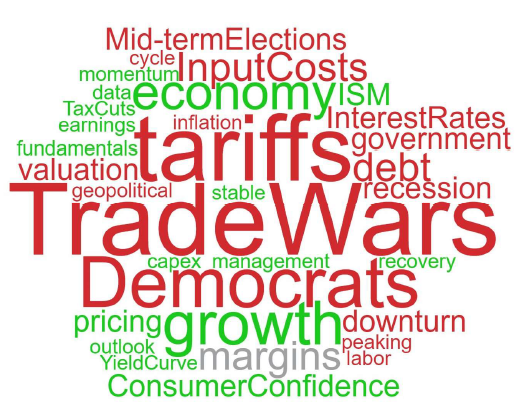 Here is the word cloud. Some of these are certainly valid concerns. Let’s consider some misconceptions. 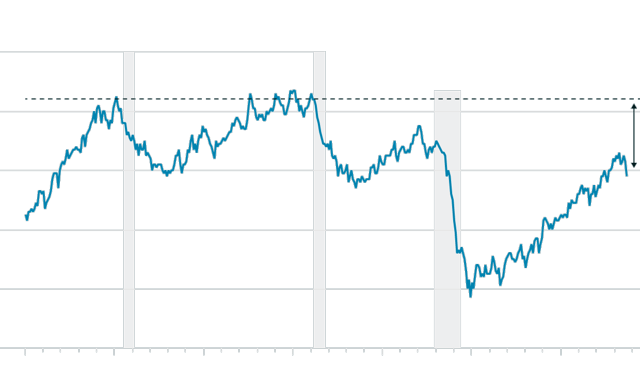 The economic cycle has lasted so long, it is about to end (and with it, the bull market). [I have seen several studies about the imminence of a cycle peak as a function of the length of the cycle. None show any support. Since this makes intuitive sense, and fits the purpose of the writer, it is simply asserted without evidence]. The VIX is a good predictor of market declines. [The VIX, calculated from the cost of equity options, is a concurrent or even trailing indicator, not a predictor. It also does not indicate complacency when the value is low. As I show each week, the cost of insurance always exceeds the actual volatility]. [I hardly know where to start with this chart. It compares a combination of government, business, and individuals on the income side with individuals alone on the wealth side. Why? The Dot-com circle does not prove the point, so there is exactly one prior case. The vertical index is almost left to your imagination, and of course, no long scale to make the time periods similar. Why 1951, other than that is when the data started? Why is the stock market the cause of wealth? What about savings? But mostly, the problem is the “good is bad” concept. If you begin with a trough and go backward, you will find a peak. That does not help you identify a peak in real time. 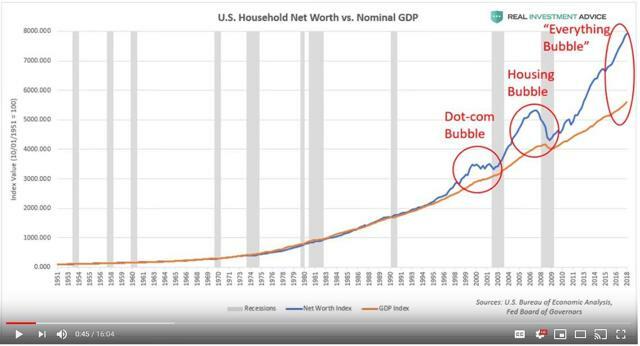 In the “housing bubble” circle, for example, you could have called the peak at any time after 2004. It is only in retrospect that the claim seems persuasive]. Indicator X (insert one of several) shows that there will be a recession soon. Last week it was a JP Morgan report of a 60% chance within the next two years. The chance for next year is 28%. [Little is known about JP Morgan’s model, but I am not impressed with the reports I have seen. There are not that many relevant past cases. Overfitting a model with a lot of variables is the biggest danger. You need to know how it was developed. That said, I don’t object to the odds for the next year. I don’t think they (or anyone else) can forecast more than a year ahead with any accuracy]. A crash is coming! Last week John Hussman pegged the possible loss at $20 Trillion. The report also listed other bearish forecasts with somewhat lower declines. [The forecasts suggest varying causes, but the numbers are all attention-getting. 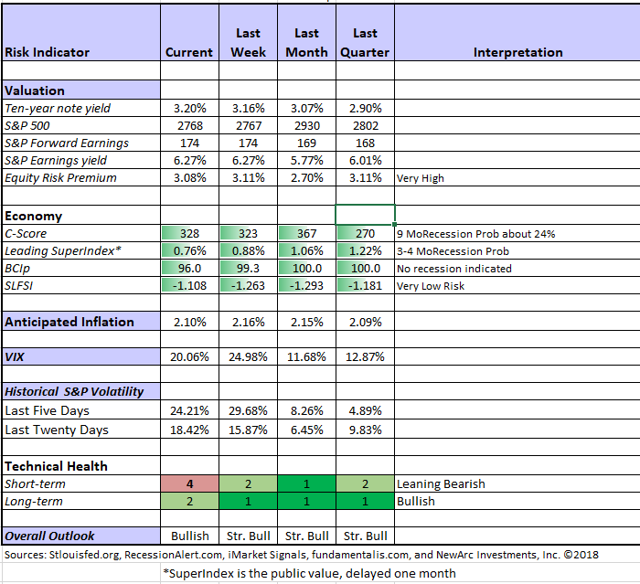 Large market declines have almost all been linked to recessions and/or financial stress, highlighting the importance of our weekly indicators]. 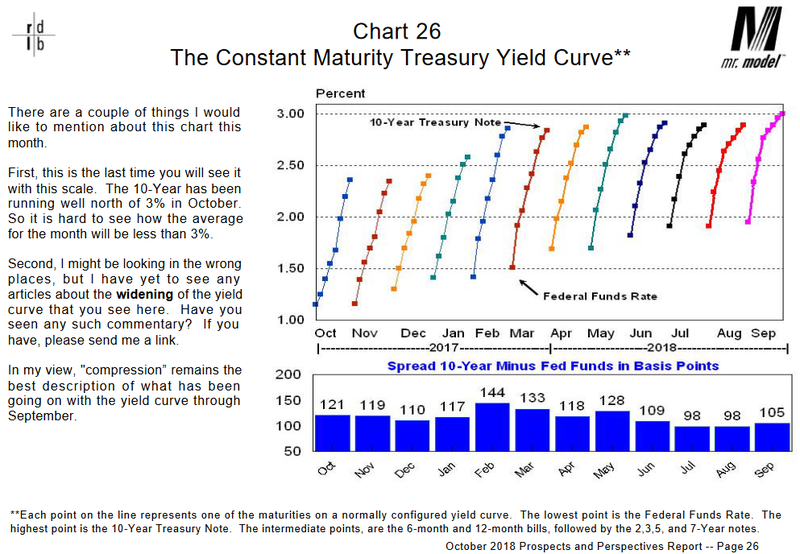 The yield curve is inverting. [When there is an inversion we have a signal. That precedes a cycle peak by a year or so. There is no need to “forecast the forecast” as business cycle expert Bob Dieli puts it. Here is an example from his latest report. Well maybe it is not inverting, but rates are going higher. [This is typical commentary. As the long end rates moved higher, the inversion complaint shifted to an overall concern about rates. That type of analysis is a good indicator of an analyst on a mission. His/her glass will never get close to half-full]. Geopolitical issues are a threat to current stock prices. This is usually just presented as a laundry list, often with the claim that the current stock prices do not reflect these fundamental concerns. [There are some valid geopolitical concerns – those that affect global growth or inflation. Impact on oil prices, trade effects on prices, and reduced US exports are all good examples. Our challenge is to separate those concerns from a generalized list of “headwinds”]. Debt is growing and will undermine the entire financial system. [Debt is certainly growing, but so are assets and income. Looking only at the size of debt – with no log scale of course – makes things look totally out of control. I am not concerned about individual debt given the improvement in repayment ability. I am not very concerned about corporate debt, which may well be a rational choice given low interest rates. Government debt is another matter. It is a real problem. It needs to be addressed. Like many problems, there are no immediate consequences of neglect]. 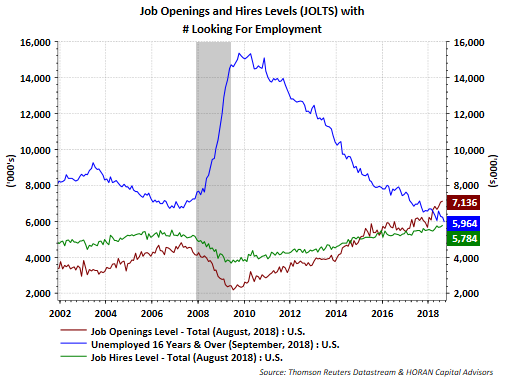 Indicators are “rolling over.” This is often cited as “growth is decelerating.” [A very high rate of growth cannot keep increasing forever. Settling back to a normal rate of growth is just fine. 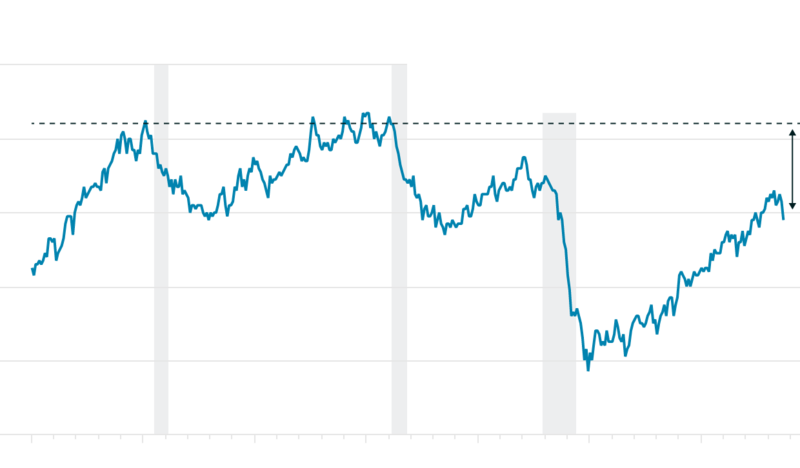 If, for example, the rate of GDP growth dropped to 2.7% or so, that would still be a healthy rate – good for employment, earnings, etc. A slowing of the rate of growth always happens before a decline, but it does not always indicate a decline. Think of it as a necessary but not a sufficient condition. Expect to see many indicators like this in the next few months]. The Fed is raising rates. [Interest rate increases in the current range are not very important for stock prices, according to all the historic data we have. This is not just a matter of a slogan. Check out any of the recent WTWA posts for more on this topic]. There are many other candidates for the list of pundits’ favorites. Please add your own ideas in the comments. In today’s Final Thought, I’ll add a few more observations. Short-term trading conditions have taken a turn for the worse. The identification as “bearish” is a reaction to volatility, not a prediciton of a short-term decline. When conditions are technically challenged, we watch trading positions even more closely. It is possible for our trading models to exit completely if there is further deterioration. Long-term trading has also dropped a point on a technical basis. This differs from the fundamental analysis which remains very strong. Doug Short and Jill Mislinski: Regular updating of an array of indicators. 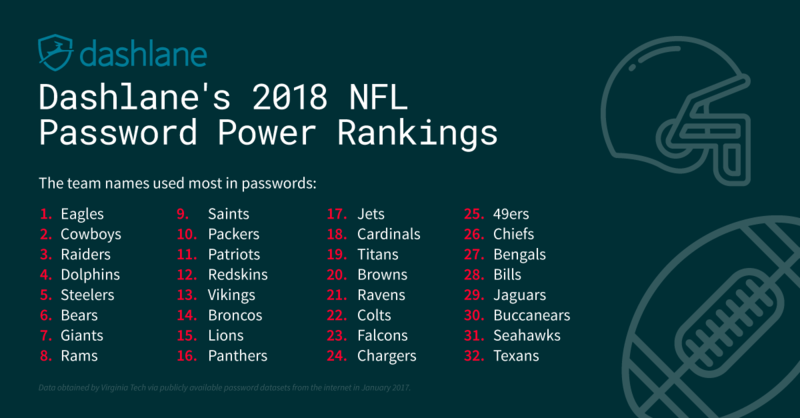 Great charts and analysis. 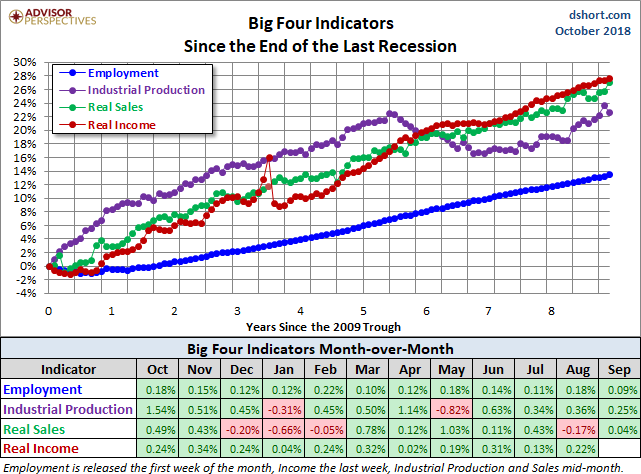 To emphasize the difference between sentiment and reality, it is time for another update of the Big Four indicators – the key elements in recession dating. The Big Four shows consistent and broad growth. Liberty Street Economics takes a close look at the effect of increased regulation on bank arbitrage activity. The authors conclude that additional costs have decreased activity both by banks and hedge funds. 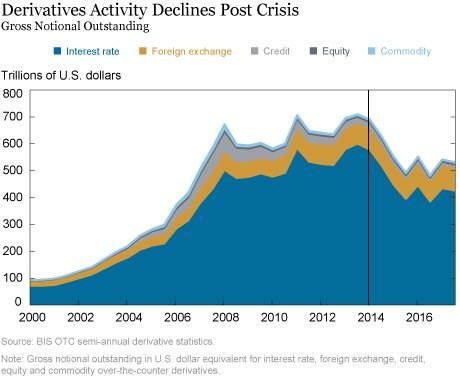 You can readily see the flattening and recent decline of the notional value of derivatives. [Jeff – And of course, these positions are largely offsetting. We don’t really know the net exposures]. James Picerno’s (The Capital Spectator) business cycle risk report provides a watchful positive. For now, the risk of recession remains virtually nil and it’s unlikely that a downturn will start in the immediate future, according to broad set of indicators. But projections for next year, which remain highly speculative at this point, suggest that recession risk will rise – a forecast that deserves close attention as new data arrives in the weeks ahead. Check out our weekly Stock Exchange post. We combine links to important posts about trading, themes of current interest, and ideas from our trading models. This week we asked whether traders would rather be “right” or be successful. This important concept is something you should decide and then live with. We also shared advice by top trading experts and discussed some recent picks from our trading models. Our ringleader and editor, Blue Harbinger, provided fundamental counterpoint for the models, all of which are technically-based. If I had to pick a single most important source for investors to read this week it would be this analysis of a trade by “Davidson” (via Todd Sullivan). He explains that market psychology and business returns often diverge, and he provides a helpful example of Kansas City Southern (KSU). Market psychology often diverges from business returns. Identifying these situations is what produces investment opportunity, but the investment return is dependent on market psychology turning in the direction which benefits the investment decision. History tells us that investors eventually respond to the underlying returns. The issue for investors is that one may have to wait through a frustrating period of watching business returns evolve as anticipated without markets responding. KSU provides an excellent example of the investment process. Check out the entire post to appreciate the example. Chuck Carnevale applies his powerful analytical methods in a look at a popular candidate, IBM. As usual, he combines a lesson in analysis with good ideas about a specific stock. Watch the video! (See also Nicholas Ward’s analysis below in the “watch out” section. Morningstar identifies economic moats and strong balance sheets as the keys to maintaining dividends. Using that as an initial screen, they then look for the cheapest candidates, creating an interesting list of possibilities. This week I especially enjoyed his discussion of annuities. I have joined others with annuity warnings – high commission products that substantially trail alternative methods. Gil thinks objectively about the concept, identifying why this approach might fit some investors. Abnormal Returns is an important daily source for all of us following investment news. His Wednesday Personal Finance Post is especially helpful for individual investors. I especially liked the Morningstar article by Christine Benz, Guess What? It May Actually Be Different This Time. She looks back at 2008 and her family’s wisdom in holding on. But then, are things different now? Not necessarily for the market, but for you? Tadas also pointed to the “watch out” piece below about ambulance chasing advisers. And also the Ben Carlson post on market corrections. The progress in behavioral economics has made many people aware of anchoring – a perception that lingers in your mind, interfering with rational thought and analysis. David McRaney has a nice discussion. He reviews several interesting (and fun) examples of how providing a random number alters the perceptions in a group of subjects. How many African countries are in the UN? What is the population of Venezuela? This effect is now widely accepted by nearly all market analysts. And then it is forgotten. The constant repetition of an idea has an effect. The factual basis does not matter. The aging bull market, the role of the Fed, and assorted correlation/causation errors are all examples. I have tried to illustrate a few of these, helped by readers who inquired about some of the posts mentioned. Why are the anchoring stories so negative? Because the stories almost write themselves and attract the attention of a wide audience. Dr. Hussman thinks we might lose $20 Trillion (assuming we have done no profit-taking along the way). Mr. Colombo warns us that the apparent good news about improved wealth is actually a bad omen. The Hussman commentary often leads the list of popular articles. Mr. Colombo reports that he has 10 million followers across several different platforms. They are both major, successful forces in the world of market influence. It would be interesting to calculate the market gains since Dr. Hussman first used “overbought, overbullish, and overvalued” and even before he added “obscene.” I’ll take the “over” on $20 Trillion. We would all like to identify bubbles and get out of the way. An expert on bubbles must not see them everywhere. Compare this 2014 Forbes Colombo article with the one mentioned above: These 23 Charts Prove That Stocks Are Heading For A Devastating Crash. It had 170K page views, and every chart is a Silver Bullet candidate. [I raised questions at the time but got no response]. Predicting disaster is exciting and profitable! Check out Ben Carlson’s list of those who benefit from a correction. There is no way to inoculate yourself against the anchoring bias, but you can follow a fact-driven process. Brexit. Necessary changes between the UK and the EU have not been negotiated (Barron’s). Contracts, derivative clearing, data protection, and key UK financial employees who are EU citizens. Will there be a delay? The psychological effect of worries. Business and consumer confidence are important for a strong economy. The Saudi issues. The death of a US journalist is an important story. Like many other news items, it is not a financial story. Disclosure: I am/we are long BABA.